WASHINGTON — Innovations in the growth of “big data” are moving traffic research from the reactive to the predictive, a top U.S. Department of Transportation official said. To better utilize data, the DOT has launched a “safety data initiative,” aimed at creating a systematic approach to safety in which the agency can identify, track, predict and address the largest safety risks, Kan said. The elements of the initiative include methods to help researchers collect data on and search for predictive insights, according to Kan.
Kan added, “Unfortunately, today we record risk almost always on a national basis.” The goal is to find better ways to measure timely and reliable indicators for traffic crashes, he said. •DOT is collecting the rate of speed every five minutes at various locations nationwide to determine its impact on the number of crashes, Kan said. •The state of Washington’s department of transportation used big data to discover that lighted roadways are not always safer than those that are not lighted, said John Milton, the agency’s director of quality assurance and transportation system safety. “In some cases we were finding that continuous lighting leads to driver behaviors that aren’t the best,” Milton said, while not explaining why some of the bad behaviors emerged on lighted roadways. 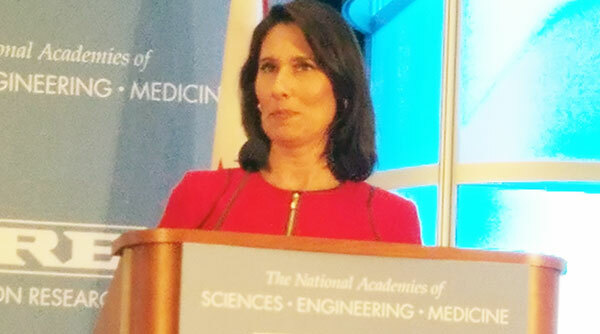 •City of Los Angeles officials used big data to analyze why certain areas of town had more crashes than others, said Deborah Hersman, CEO of the National Safety Council. The data showed that the greater number of crashes were related to the level of police enforcement, Hersman said.